What Really Happened to this Missing Female Soldier in Iraq? The stories of military heroes are forever embedded in the annals of history, and most armies stand firm on never leaving anyone behind. It is usually of the utmost importance for militaries to remember the sacrifices soldiers make on behalf of entire nations. When this female soldier went missing in Iraq, tension was high and things weren’t really what they seemed; at least for some. The media describes the capture in a very different way. Read on to find out what really happened to this missing female soldier who became a prisoner of war. 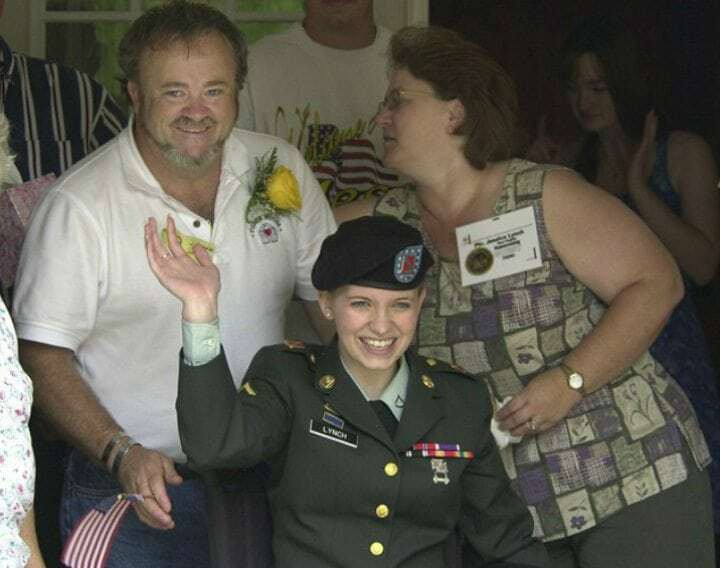 Jessica Lynch recruited to the American army in 2001 with good intentions. She dreamed of contributing to the American army in any way she could; no matter what it took. She believed this was the place to grow, explore, and expand her skills so that she could achieve all her future goals. 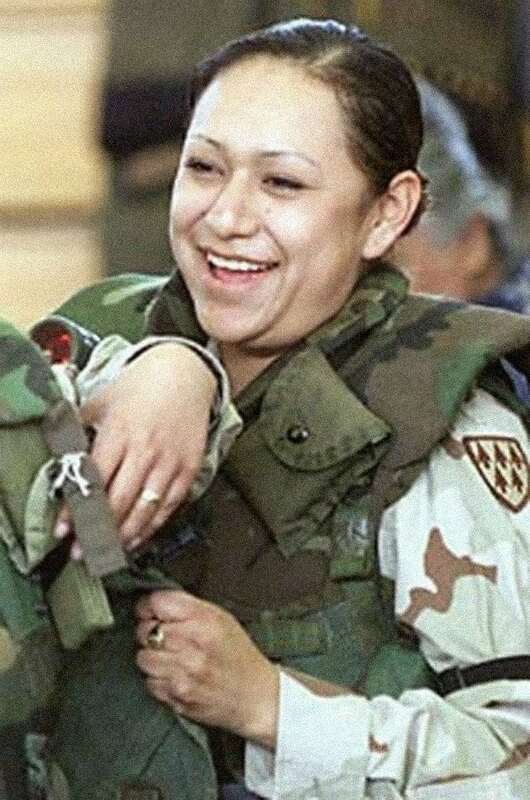 Things took a turn for the worse in 2003, when she was reported as a missing in action female soldier in Iraq. This just wasn’t any M.I.A. 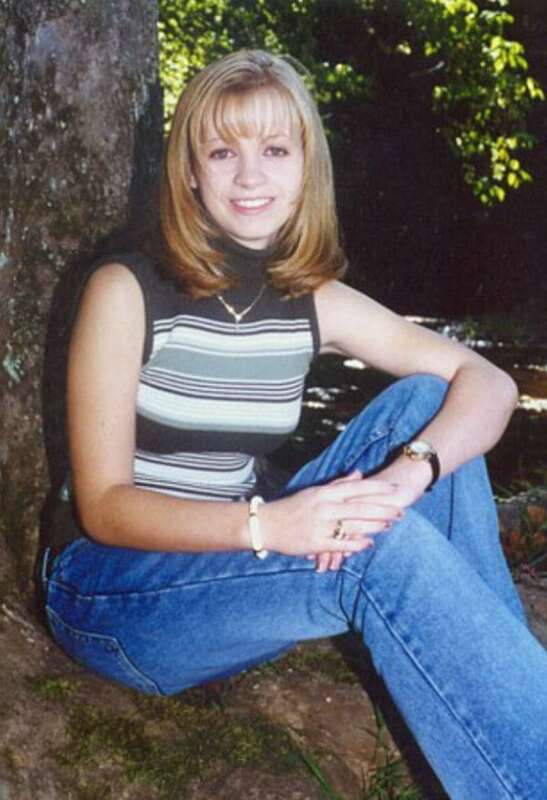 case; the circumstances surrounding her disappearance would cause more controversy than anyone could have anticipated. What really happened to this missing female soldier that caused so much uproar? 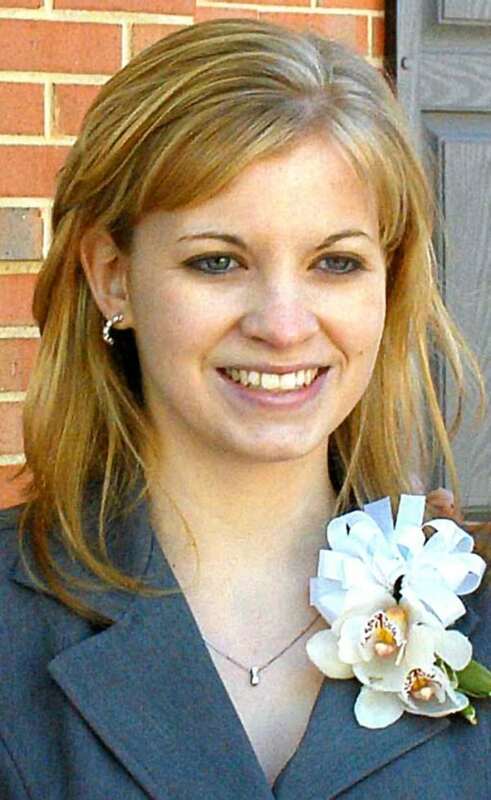 Jessica Dawn Lynch was born on April 26, 1983 in Palestine, West Virginia. She was your typical girl next door with big dreams for her future. Her humble and quiet nature didn’t mean that Lynch wasn’t destined for something big, especially because she excelled in everything she set her mind to. Lynch was adamant to explore the world, meet new people, acquaint herself with new cultures, and take on new skills so that she would secure herself a better future. Life may have been super peaceful in West Virginia, but she lusted for a bit more excitement. And yet, little did Lynch know how much “excitement” was in store for her. Lynch was on the brink of a new beginning with the closing of another chapter in her life: graduation from Wirt County High School. Her dream was to embark on a teaching career path so that she could become a figure the youth would want to look up to and learn from. The one thing standing in her way was her family’s financial situation, but this didn’t stop Lynch’s determination; she had an idea: the army! The military sounded like a great alternative because she could hone in on her leadership skills in order to become a teacher in the future. Many people didn’t believe she could conscript, but that wasn’t going to stop her. In fact, she was so determined that her father emphasized to people that his daughter had a notable characteristic: she always proved her doubters wrong. It was actually in 2001, the year before she graduated, that Lynch and her family met with an army recruiter to get the ball rolling. Turns out that she was a person of action, even at the age of 17. The family seemed okay with her joining the military because it would ensure a scholarship for her future studies. Lynch’s mother noted that the recruiter warned that the possibility of war can never be ruled out, but no one in the family seemed concerned because the thought of war was so far-fetched. So, it was all set: Lynch would recruit to the army after graduation. The future seemed bright, but the family would soon realize how wrong they were when something totally mind-boggling occurred soon after. Everything changed for Lynch on the fateful day of September 11, 2001. The world witnessed the worst terrorist attack committed on American soil. This made Lynch even more passionate about serving her country, and just two weeks following the attack, she made her way to Basic Training at Fort Jackson, South Carolina. Although America had just experienced its worst attack in history, Lynch still didn’t think there was a possibility of a full-blown war. Well, at least not for her. The thought of combat didn’t even cross her mind. But as these things go, she was in store for a rude awakening. Lynch successfully completed her Basic Training with flying colors and was ready to move onto more advanced courses. The avid soldier was moving fast with her training that she went on to complete her Advanced Individual Training for her Military Occupational Specialty as a unit supply specialist at Fort Lee, Virginia. Lynch trained in Fort Lee, Virginia at the Quartermaster Corps where she became a unit supply specialist. 9/11 had a devastating effect on America, and almost a year later things were heating up, and fast. It was December, 2002, and things for Lynch were going to change forever. Soon after Lynch signed a four-year extension in the army. 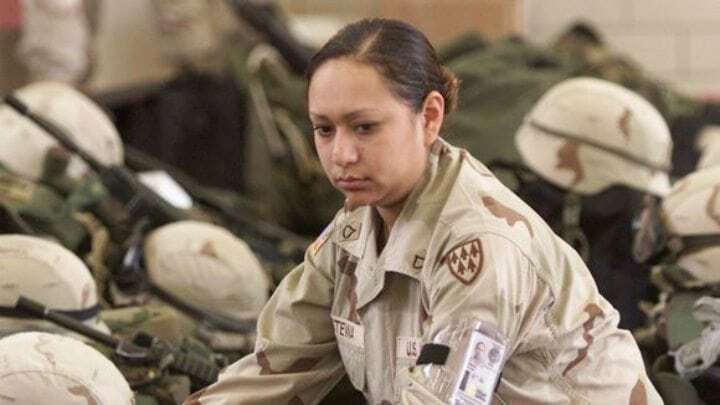 The solider was determined to contribute in any way she could to the U.S. army, but her mind was still set on becoming a teacher in the near future. 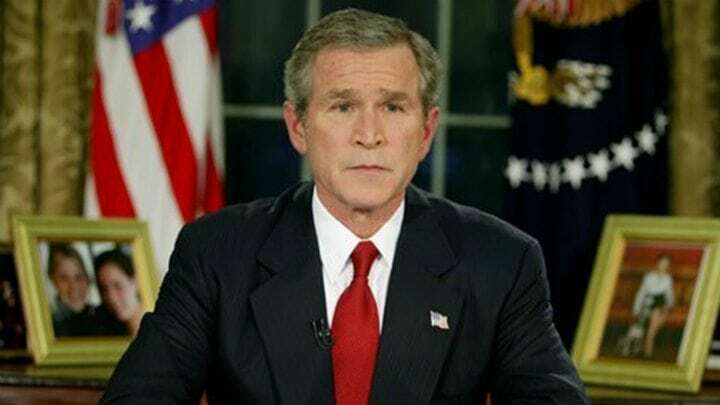 By the beginning of 2003, America wasn’t willing to skirt around the issues with Iraq and the Middle East any longer. The possibility of war was becoming a reality, but neither side was prepared for the event that was about to unfold. Lynch was sent to Iraq in March, 2003 as Private First Class to serve as a supply clerk with the 507th Maintenance Company from Fort Bliss, Texas. She wasn’t sent to perform any combat duties, but rather duties that involved keeping the supplies and equipment in good condition, as well as distributed and documented as required by army protocol. During one of the missions, a convoy of the 3rd Combat Support Battalion elements and the 507th Maintenance Company was led out by a Humvee driven by Lynch’s good friend and fellow solider, Lori Piestewa. None of the soldiers had any clue that were about to get caught in the midst of something very sinister. 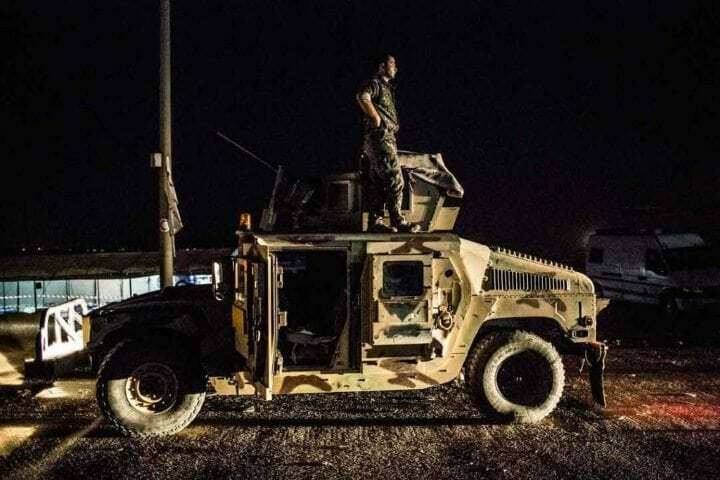 The convoy made a wrong turn near the major crossing point over the Euphrates River because the navigational equipment worked on gridlock references instead of spoken and visual instructions. This meant that instead of detouring around the city of Nasra, the convoy drove right into Iraqi –controlled land. None of the soldiers were prepared for combat, and they weren’t aware they had crossed enemy lines. By the time the captain got his bearings and decided to turn around, it was too late. The enemy had noticed. That was it. The convoy had taken more than one wrong turn and the enemy was tailing them fast. Suddenly, the enemy opened fire and the convoy Lynch was in was hit by a grenade launched from a rocket propellant, which caused the Humvee to collide with a truck. 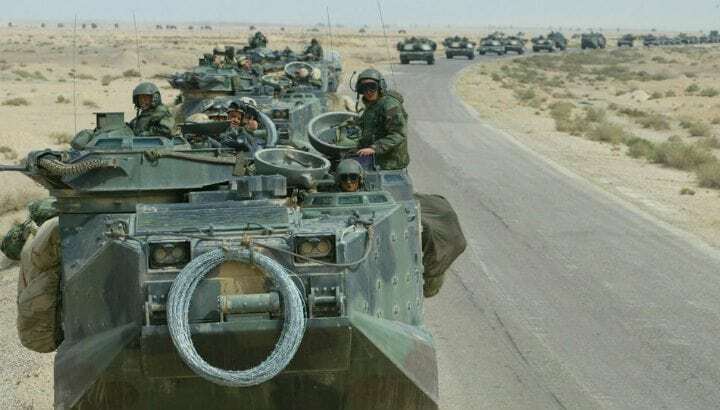 After everyone’s doubts about the possibility of war, Lynch was caught in the heart of the Battle of Nasiriyah – one of the worst battles that shaped the U.S. invasion of Iraq. The battle ensued for an hour and a half until the convoy split into three groups. The first and second managed to escape without much damage, but the third part of the convoy faced a different more unfortunate fate. However, the question was: which part was Lynch in and was she hurt? The ambush left 11 soldiers dead. While Lynch wasn’t one of the dead, she was seriously injured when the grenade hit the convoy. She incurred a severe wound to the head and broke her back. Lynch was injured along with five other soldiers, one of which was her best friend Piestewa, who received a severe head injury. When the ambush became public, the U.S. army listed Lynch and the five other soldiers as missing in action, but the army wasn’t prepared for what was to come. Soon after the battle subsided, the Iraqi Fedayeen forces captured the wounded soldiers and held them as prisoners of war. The Iraqi forces decided to use the capture to their advantage and released a video on “Al Jazeera” to show the world the captured American soldiers. Lynch and Piestewa were captured on the video but Piestewa never made it. She died on the way to the hospital from her head injury while Lynch was luckier; at least for the time being. After some time, the Iraqi forces decided to take Lynch and the other soldiers to the Saddam Hospital that it used as their military operations base. Lynch woke up in the hospital, but to her surprise she was treated by nurses and staff, including doctors Anmar Uday and Harith Al-Houssona. The twist in the tale began during Lynch’s time at the Saddam Hospital. An Iraqi lawyer by the name of Mohammed Odeh al Rehaief spotted Lynch while at the hospital and was horrified at what he witnessed, so he decided to take matters into his own hands. Read on to find out how his account would later be disputed and become part and parcel of all the controversy. Al Rehaief took it upon himself to risk his life to save Lynch. 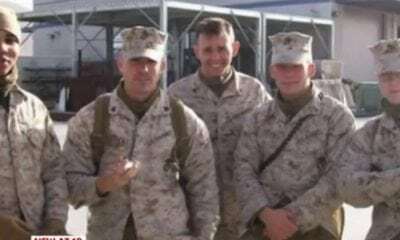 He walked over six miles to the U.S. marine base to inform the soldiers about what he had witnessed. He told them his wife was a nurse at the hospital and while visiting her, he noticed that security was on alert. He claimed that he saw Lynch being held captive and that witnessed her being slapped in the face by an Iraqi colonel. The Marine forces sent him back to the hospital to gather more information so that they could plan a rescue mission upon which the lawyer returned with five maps. The maps, along with al Rehaief’s account and those of other informants assisted the U.S. forces to strategize a plan. Would it be successful? While the U.S. Marines and Navy SEALS, under the command of the U.S. Army, planned a diversionary attack, the Green Berets, PJs, Army Rangers, and Delta force launched a nighttime rescue raid and escape mission for April 1, 2003, not so long after Lynch was taken in as a prisoner of war. 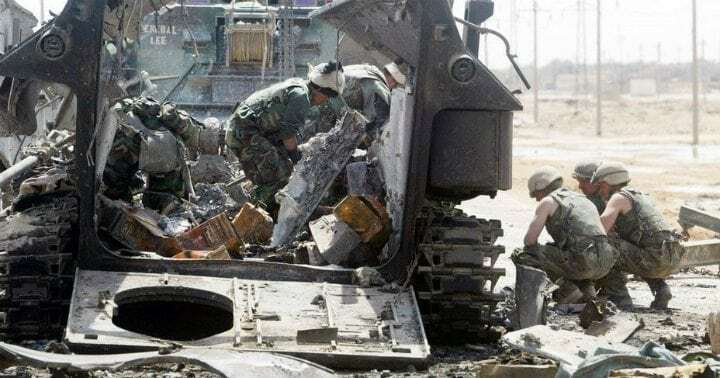 The plan was for the Marines to drive away the Iraqi forces near the Saddam Hospital so that the other forces, with the help of the Air Force, could launch a nighttime raid on the hospital. The forces were successful in penetrating the hospital barricades where they retrieved Lynch and the bodies of several dead soldiers. Lynch was placed on a flight and rushed to Landstuhl Regional Medical Center in Germany where she received immediate medical attention. The rescue was a success and she was on her way to recovery, but it was only the beginning of Lynch’s troubles. The Pentagon released its first press briefing on the rescue on April 2, 2003 with a video lasing five minutes that tracked the rescue mission. However, the video was edited to emphasize certain parts of the operation. The video claimed that Lynch was discovered with bullet and stab wounds on her body and included the al Rehaief’s account of Lynch being slapped around by an Iraqi Fedayeen. There were even suggestions of sexual abuse. At that moment, everything seemed clear: Lynch was a brave hero saved by brave U.S. forces. However, all the cracks began to appear soon after. After recovering from her wounds and undergoing several back operations in Germany with her family by her side, Lynch returned to America to undergo some more treatment at Walter Reed Army Medical Center in Washington D.C. She was sent flowers, cards, and gifts until her release on August 27, 2003. 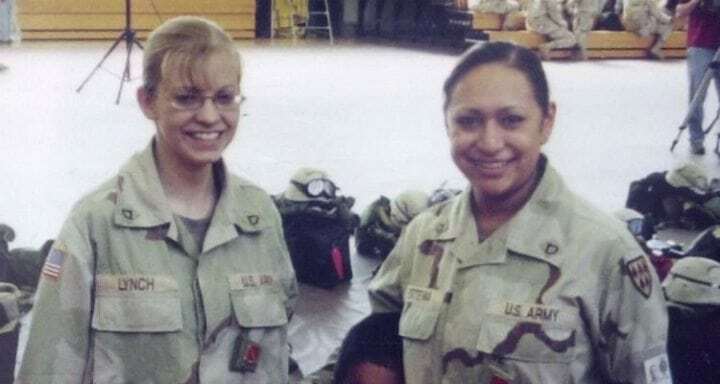 When Lynch returned to West Virginia, she was greeted on the streets by thousands of residents, as well as her fiancé at the time, Army Sergeant Ruben Contreras, whom she would split up from soon after. She turned into a celebrated American hero, but the road to recovery had only just begun. She would need another 22 surgeries, but her medical troubles seemed mild compared to what she was about to face. Lynch’s rescue became a monumental moment for America. The U.S. forces had conducted its first successful rescue mission of a prisoner of war since the Vietnam War, and she was the first American female soldier to be rescued during a war. Lynch was portrayed as a true soldier of valor and was awarded for her bravery with the Purple Star, Bronze Star, and Prisoner of War medals. Everything was happening so quickly that she also signed a $1 million book deal, but this didn’t come without its haters and critics; even a critic you’d least expect. Lynch became an iconic figure in America, representing the courageous soldier who risks his or her life during the Iraq War. She also graced the front cover of a biography, “I Am a Soldier Too: The Jessica Lynch Story,” penned by Pulitzer-prize winner Rick Bragg. The biography stated that several medical records proved that Lynch was sexually abused and raped within three hours upon her arrival at Saddam Hospital. The Private First Class soldier was portrayed as a hero throughout the biography, but certain details didn’t add up, and soon reader and critics would question the reliability of the account. In light of the biography and several precarious press releases, Lynch spoke out for the first time since her recovery. She disputed a lot of the information in the accounts, especially the fact that she was sexually abused or mistreated in the hospital. Lynch did not want to be associated with the media or the army that turned her story into what seemed like something of a sensationalized Hollywood plot. The video the Pentagon released angered her because many things didn’t add up and she felt that it was a propaganda stunt. Continue reading to see how the controversy unfolded and which information didn’t add up with several witness accounts of the rescue mission. Several staff and doctors of the Saddam Hospital came forward and gave their accounts of what occurred during the U.S. rescue mission. Dr. Harith Al-Houssona was shocked at some of the misinformation because she claimed that Lynch became a friend after she tended to Lynch’s injuries. She insisted that the Iraqi officers and soldiers had left the hospital two days before the U.S. forces arrived. 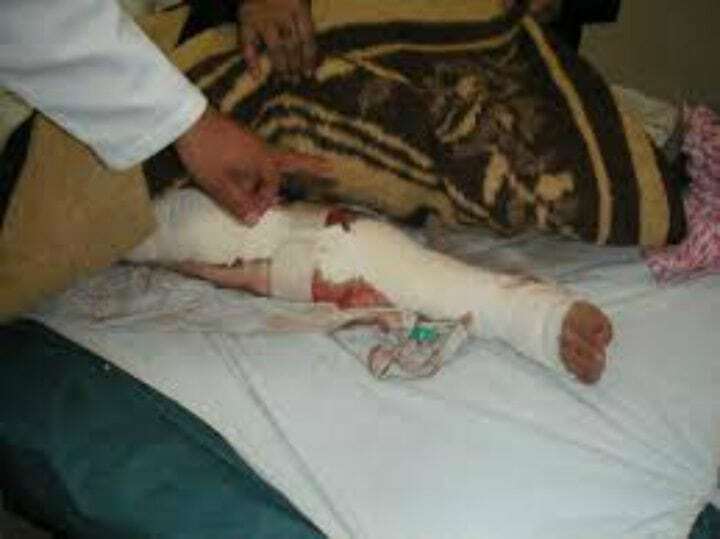 She went on to insist that the night the Iraqi Fedayeen left, the doctors placed Lynch in an ambulance to deliver her to the Americans who were stationed about one kilometer away. She recalled how the Americans started shooting before they could even tell them to take Lynch. But that wasn’t all. 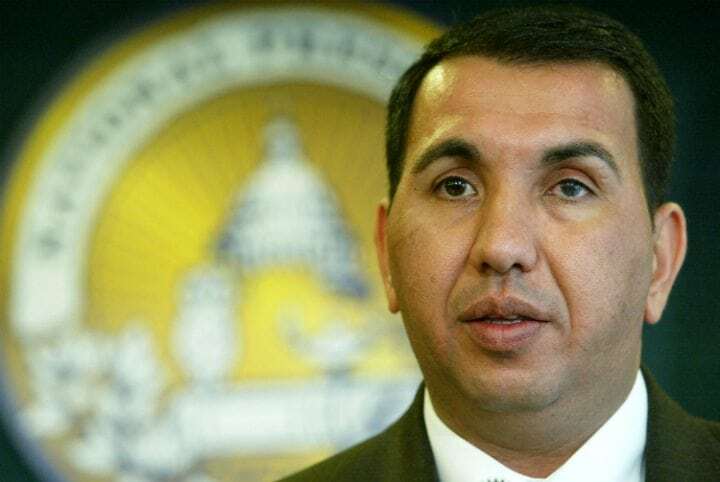 Hassam Hamoud, a waiter at the restaurant Nasiriya’s al-Diwan near the Saddam Hospital, recounted that the night of the U.S. raid, the American soldiers approached him to ask if any troops were still at the hospital. Hamoud told them that there were none left several times which meant the Americans knew there was no threat. Anmar Uday, the other doctor who tended to Lynch, remembers how the U.S. forces blasted into the hospital like an action movie. Dr. Mudhafer Raazk recalls seeing two cameramen and a photographer in army uniform capturing the moment while the doctors and nurses were lined up at gunpoint like criminals. Once the soldiers realized there was no threat at the hospital, they were led by the staff to the bodies of the missing soldiers. None of this was presented in the Pentagon film. Raazk was very perturbed by how Lynch’s time in the hospital was portrayed. The misinformation about the rescue didn’t bother him as much as the fact that the Americans didn’t show the public that Lynch was given a special bed in the hospital. Dr. Al-Houssona proclaimed: “We all became friends with her, we liked her so much.” They took care of her and assured her that she was out of danger. Although Lynch didn’t remember much the ambush and her time in hospital, she did confirm that the staff were good to her and that no one mistreated or abused her. This stood in direct contrast to al Rehaief’s version of the story. 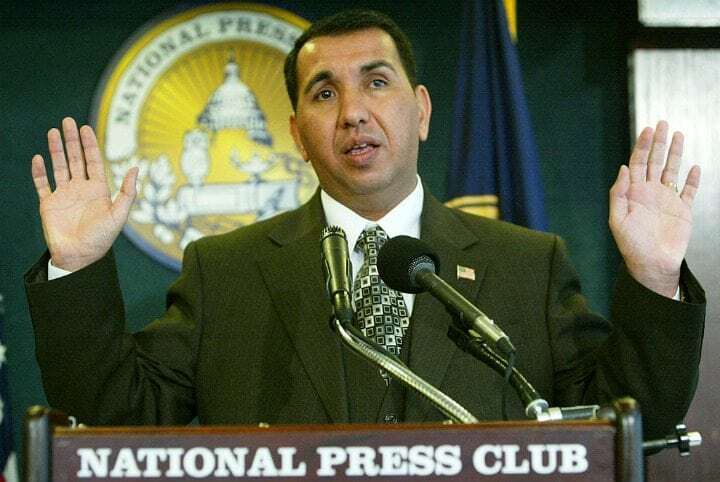 After al Rehaief helped the U.S. forces to rescue Lynch, he was awarded asylum in America and landed a $150 000 book deal. He claimed he witnessed all the abuse when he visited his wife, Iman, who was a nurse at the hospital. The doctors confirmed that the lawyer visited the hospital, but they claimed that his wife wasn’t a nurse there and there was no nurse by the name of Iman there either. The doctors also insisted that Lynch was treated well and shielded from the Iraqi forces, contrary to al Rehaief’s account. There was still more to be disputed, in fact the key issue that lay at the heart of whether Lynch was a hero or not. 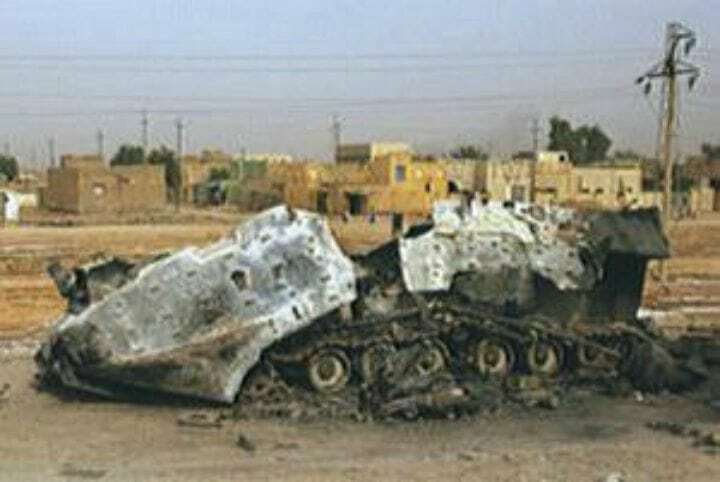 After Lynch’s return home, the Washington Post released an article detailing how Lynch fought back bravely after her convoy was ambushed by the Iraqi forces. This was supported by the Pentagon’s account of finding Lynch covered in stab and bullet wounds. Months after Lynch recovered and could finally speak in public, she vehemently rejected this claim and felt very uncomfortable with being labeled a hero when she felt like she had only just survived. She contended that her weapon jammed right after the attack, so there was no way she could have fought back. 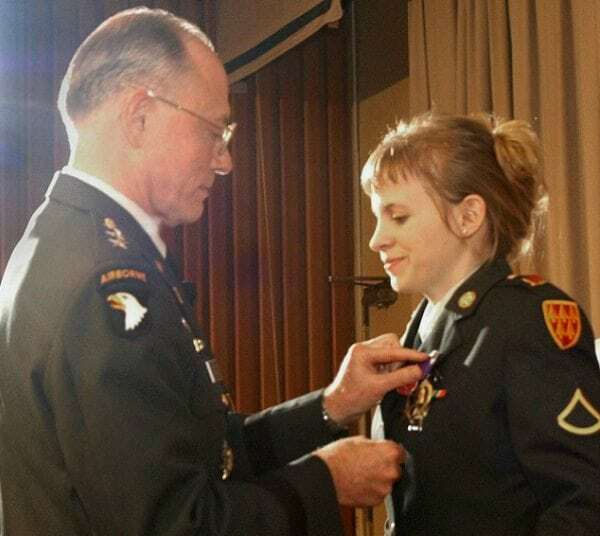 The Iraqi doctors stated that the injuries were blunt and resembled that of a severe car accident, which Lynch’s father confirmed when he said that none of her wounds were battle wounds. Lynch emphasized that other soldiers fought back and deserved the recognition, but they were being shunned for propaganda reasons. Who was she referring to? 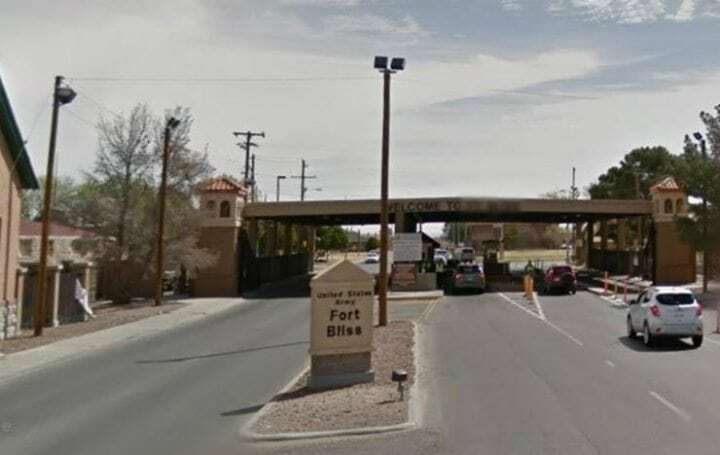 Lynch mentioned the names of her fellow soldiers who she felt were the real heroes, such as: Lori Piestewa, First Sergeant Dowdy, Sergeant Donald Walters, and Patrick Miller. She was even more angered by the case of Piestewa and Shoshana Johnson because she felt like Americans liked to pick and choose their heroes based on certain criteria. In fact, this would haunt her for many years to come. Lynch wholeheartedly agreed with the critics who claimed that the media was bias to Lynch in the coverage of the war heroes of the Iraq War. She exclaimed that the public probably wouldn’t be interested in Lori Piestewa, a single mother of Hopi descent, or Shoshana Johnson, a single black mother. Piestewa was killed but Lynch said that her blue eyes and blonde hair seemed to make her more of a canonical hero. This affected Lynch for years, on both a physical and mental level. The fact that Lynch spoke out about her heroic status didn’t mean that she didn’t receive hate mail and threats for trying to present herself as the star of the show. Lynch was celebrated and loved by many Americans, but she also began to receive lots of hate mail and threats because they believed she was fabricating her heroic acts. Lynch continually stated: “That wasn’t me, I’m not about to take credit for something I didn’t do. I’m just a survivor,” but that wasn’t enough for the haters. Lynch was saddened by the fact that people couldn’t emphasize with her being captured and the fact that she couldn’t fight back. She was stuck in a rut: she needed to convince the admirers that she didn’t do much, and she had to convince the haters that she wasn’t trying to pretend that she was a hero. 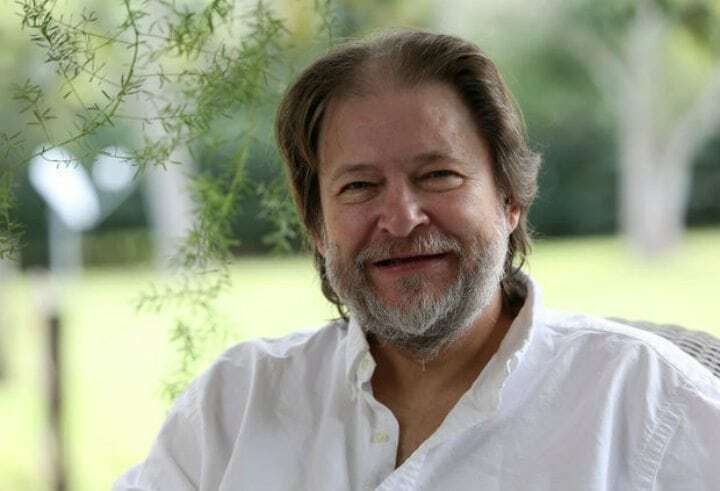 Lynch hadn’t forgotten about Rick Bragg’s claims about her in his biography. She didn’t appreciate his blatant accusation of sexual abuse when she couldn’t remember everything and the fact that she remembers being treated kindly by the staff. 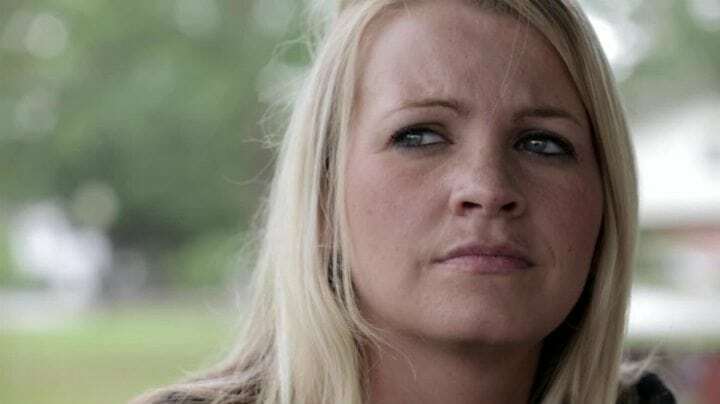 When she approached him about his false statements, he maintained that medical reports confirmed that she was raped and that people needed to know the kind of devastating things that can happen to female soldiers. Lynch emphasized: “The truth of war is not always easy to hear but it is always more heroic than the hype.” Dealing with the lies and sensationalized misinformation was an ongoing battle for her, but it didn’t come close to the emotional and mental effects of losing her fellow soldiers. However, her story was far from over. Lynch was heartbroken over the loss of her best friend, Piestewa. She looked up to her fellow soldier and the two became very close, so close that they became best friends. When she lost Piestewa she felt like her world was turned upside down. Lynch felt so guilty that she had survived, while true heroes like Piestewa never made it out alive. She went for therapy to deal with the painful loss, but Lynch was never able to recover from the loss. At one point, things got really bad for Lynch. 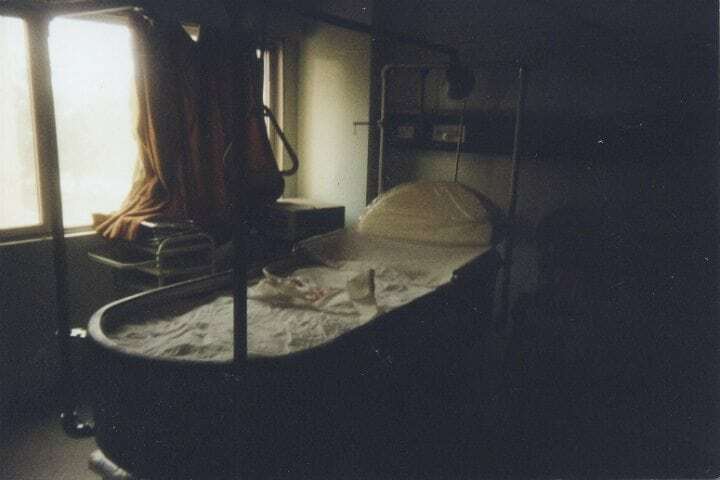 After 22 surgeries, Lynch thought the worst was over, however, 12 years after the war Lynch suffered from a nervous breakdown and couldn’t leave her bed for several months. She was so broken over the loss of Piestewa that she got physically sick. What broke Lynch even further was when the doctors told her that she wouldn’t be able to conceive because of the internal wounds she incurred during the ambush. Lynch was a fighter and still loved proving people wrong, so much so, that she would prove the doctors wrong as well. Old dreams and ambitions don’t really fade, and Lynch confirmed this when she went on to fulfill her dream of becoming a teacher. 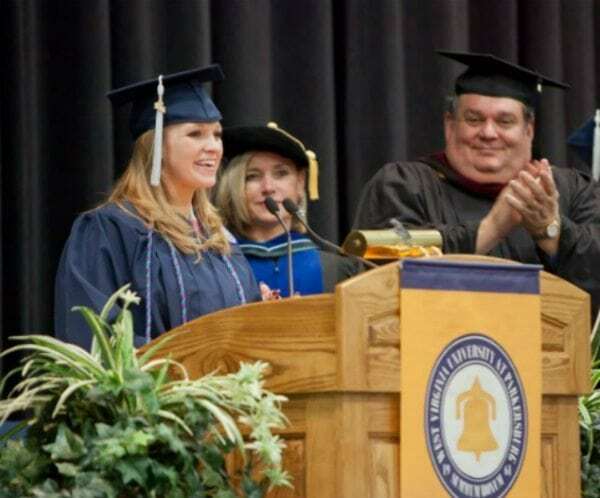 With the tuition scholarship granted by the U.S. military, Lynch achieved her Bachelor’s Degree and Master’s Degree from the University of West Virginia. Lynch didn’t want to give up on building herself the life she wanted for herself before she recruited to the army. 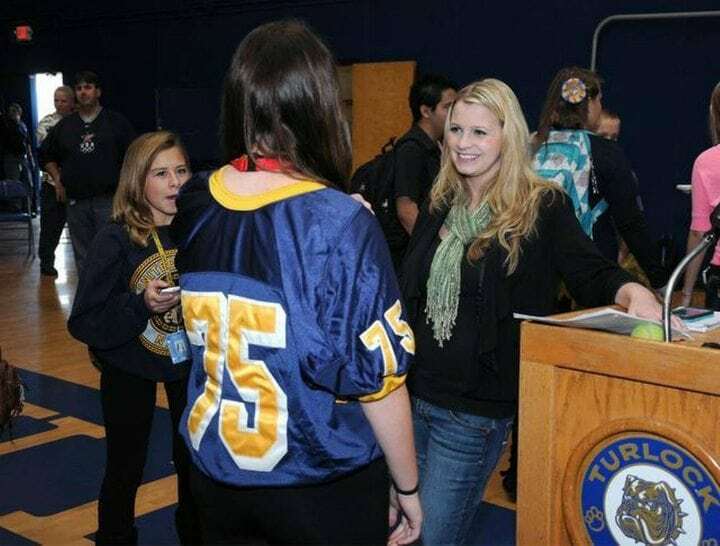 Her dreams became a reality when she graduated, but she definitely wasn’t going to stop there. After undergoing such trying times, Lynch never thought she’d recover from the physical, mental, and emotional pain and trauma of being captured in Iraq. She proved herself and everyone wrong when she found love and married Wes Robinson in 2007. But that wasn’t it. 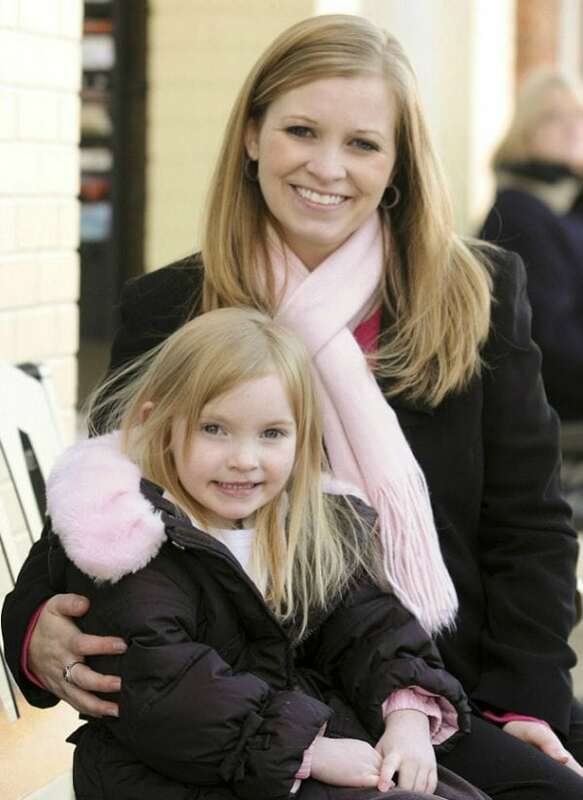 Even though Lynch was told she would never bear children, the couple conceived their first child, and on January 19, 2007, Lynch gave birth to a healthy daughter, whom she named Dakota Ann after her best friend Piestewa. Since then, Lynch takes her daughter along with her to every motivational speech she gives to the public. Her daughter is living proof of what Lynch believes to be her true act of heroism in her life. However, the hardships were still not over. Since recovering from the injuries and numerous operations, Lynch forces herself to endure physical therapy in order to get into physical shape. She works almost every day with her physical therapy team to return to the person she was before the war. She pushes herself to repair her back and internal injuries, but the road was never easy because she suffered serious nerve damage from the back injury. Her physical injuries were not the only hardship she had to face over the last decade on a daily basis. It was the nightmares that frightened her more. Naturally, the effects of the ambush, capture, and rescue had its mental effects on Lynch. For many years, she suffered from acute post-traumatic stress disorder and the worst manifestation of the trauma were the nightmares. Lynch used to wake up in cold sweats after dreaming about being chased by masked Iraqi Fedayeen through the woods of Iraq. Over the years, the nightmares have subsided and she tries to do everything to make them go away. Her fighting spirit is what led Lynch to a life of success and love in ways she never could have imagined. The dream to become a teacher never faded; “I’ve always wanted that,” Lynch said. On December 16, 2011, she completed her student-teacher training at the elementary school she attended herself as a girl in West Virginia. Since 2015, she works as a substitute teacher seeing that her full-time teaching job would be too demanding on her body. This also gives her time to pursue her career as a motivational speaker. But she wouldn’t just become a hero of the classroom. In 2014, the film “Virtuous” was released by JCFILMS, in which Lynch stars as military specialist. The film, starring Erik Estrada, was directed by Bill Rahn and written by Jason Campbell and Tar Lynn Marcelle. Campbell said he chose Lynch because she was the perfect character who could draw on her own experiences in Iraq in order to engage the emotions of the audience in the most authentic way possible. It seemed that Lynch would make waves in the media for the rest of her life, but she channeled it in a positive and truthful way. But will she ever get over her traumatizing time in Iraq? After Lynch ticked off all her goals and ambitions, it was time to speak the truth of her experiences in Iraq once and for all. She wanted to dismiss all the fictitious claims and emphasize what really happened based on her own account. She chose to speak at the U.S. House Committee on Oversight and Government Reform. She insisted that the Pentagon sensationalized her role in the Battle of Nasiriyah. She stated that while other heroes didn’t make it home, she was privileged enough to return home and wanted to use the opportunity to tell the truth and commemorate the soldiers, who in her eyes were real heroes. Her goal is to ensure that the correct people are commemorated and given credit for their sacrifices and bravery. She doesn’t see herself as a hero, but her honesty and determination to stick to the truth turned Lynch into a hero in her own right. If you found this story interesting, please SHARE with friends and tell us what you think!